John has more than 25 years of experience as a market access, reimbursement, and HEOR consultant and practice leader. 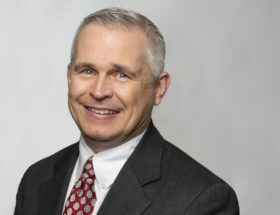 His interests include product differentiation, marketing strategy, molecule valuation, reimbursement planning, product value, health economic modeling, outcomes studies, and payer and provider market research. John has evaluated products in a wide variety of therapeutic areas, with continuous experience in oncology and rare diseases. His approach to market access strategy is expansive, looking at all relevant stakeholders and the entire evidence package for all possible sources of a product’s value. He then applies a product differentiation filter to hone the product’s message so that it is the most commercially persuasive that it can be, in the context of policy and provider economic constraints. He has worked closely with commercial and R&D teams on the strategies and launches of many products, including several biotech blockbusters. Before joining DKP, John spent 24 years at Covance Market Access, 16 of them as a vice president. He also worked at Hill-Rom, Amgen, and Shearson Lehman Hutton. John received his A.B. from Dartmouth College with honors in English and received his Master of Business Administration with a concentration in health services management from the Fuqua School of Business at Duke University.